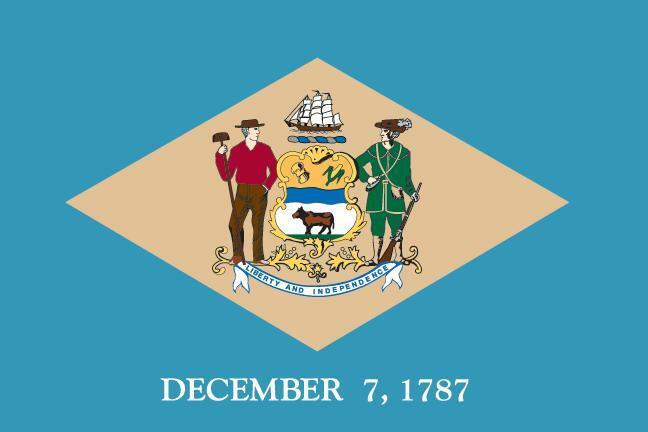 Suffering an electric injury in Delaware could have dramatic consequences. Each year, more people get injured by electric current from household outlets than they get bitten by snakes and spiders. This page is dedicated to aid Delaware personal injury lawyers in determining the best ways of addressing an electrocution accident case. In this article, you will discover ore about how you should address this type of case directly from the best electrical injury lawyer, Chris Beard. When a governamental entity is involved, an award of damages will not exceed $300,000 for all the claims that arise out of a single occurence. If the gorvernment has liability insurance greater than $300,000, then the compensation can be more than $300,000, but is limited to amount of the insurance coverage. There is a $7,000 cap on funeral expenses. If your case involves electrocution from a car battery, phone charger, or if the accident occurred in the construction industry in Delaware, taking photos of the accident scene could help you win the case. It is best to take the photos as soon as possible while the evidence is still fresh. A construction worker may suffer a workplace electrical injury from various reasons, such as faulty wiring, defective tools and many others. Other cases might not be about occupational electrical injuries, but could happen because the municipality failed to install the electrocution hazard signs, putting in danger the lives of everyone that goes near the exposed wires in Delaware. This can be done easily if the accident happened in a private home. But if the accident occurred on a construction site, it is possible for crucial evidence to be destroyed. Talk to your client’s employer and make sure the tools that caused the accident are preserved immediately after the accident. Depending on where the accident happened, you should talk to the people who have witnessed the incident. As you may be aware, time is of the essence when trying to find the right witness. Electrocution is very dangerous in Delaware and could cause a temporary or permanent injury, such as brain damage, nerve damage, chronic pain, arrhythmia, scars, and may other electrical injuries. The effects of an electrical injury may vary from person to person depending on multiple factors, including the contact area, types of clothes the victim was wearing, and may others. Furthermore, if a carrying mother suffers an electrical injury during pregnancy, it is possible for her to lose the baby because of the electric shock. If a life is lost due to electrocution, then there will surely be an autopsy report which could prove crucial in winning your case. The autopsy could also be crucial in an electrical injury case when talking to insurance companies. Electrical injury lawsuits in Delaware can be complicated if you do not analyze the case thoroughly and gather all the information needed to get the electrocution victim the compensation they need. You should analyze the electrical building code of the city where the accident happened and establish the standards of care. Wilmington, Dover, Newark, Middletown, as well as any other city in Delaware may have different building codes. As a Delaware electrocution lawyer, you must make your client understand that some information is best kept between the two of you. Saying the wrong thing might hurt the case and will surely lower the chances of winning. You should act fast and depose the witnesses before you end up chasing after them or lose them completely. As you may be aware, some witnesses vanish without a trace in personal injury cases. As a good personal injury attorney from Delaware you may know a few electrical injury experts, but if you want to increase your chances of winning, you will have to get the best. These experts could be electrical and civil engineers, construction safety experts, forensic pathologists. You may also need a psychiatrist and an economist to help justify the compensation your client is asking for. In some electrocution cases in Delaware you may have to deal with only one defendant. Unfortunately, in most cases more entities are responsible for your client’s accident, such as the retail agent, the manufacturer, the designer, the employer or even the municipality. As a good electrical injury lawyer from Delaware you will have to identify which parties are responsible and can be found liable. If you didn’t have to deal with this kind of cases in the past, you will soon find out that electrical injury cases in Delaware are very complicated. Electrocution attorney Chris Beard is specialized in handling this type of cases and has won numerous times with the help of his nationwide network of electrical injury experts. As a Delaware personal injury attorney you know the local electrical rules and procedures like no one other. As a renowned and successful electrical injury lawyer, Chris Beard is aware of the challenges an electrical injury case may bring, including finding the best local experts in the Delaware area. You can join forces with Chris to increase the chances of your client getting electrical injury compensation that may be crucial for their rehabilitation. Click here to learn more about collaborating with Chris and why a collaboration with him may turn the tides in your favor. You can also get in touch with him at [email protected] or at (888) 300-0585.